Recently, the api-ms-win-crt-runtime-l1-1-0.dll missing error appearing on launching programs like Skype, Adobe, Autodesk, XAMPP, Corel Draw, Microsoft Office etc. gets on many Windows users nerves. With the error message, “The program can’t start because api-ms-win-crt-runtime-l1-1-0.dll is missing from your computer. Try reinstalling the program to fix this problem”. Unfortunately, reinstalling doesn’t always fix the api ms win crt runtime l1 1 0.dll not found bug. Generally speaking, that api-ms-win-crt-runtime-l1-1-0.dll missing error, as part of the Dynamic Link Library file, like other lack of dll file’s error( eg: missing XINPUT1_3.DLL, Msvcp120.dll, physXloader.dll, 0xc00007b error, OpenAL32.dll ) is caused by the deficiency the Microsoft Visual C++ Redistributable. Once the api ms win crt runtime l1 1 0.dll is not registered successfully, the application that contains the Visual C++ Redistributable may crash with the api-ms-win-crt-runtime-l1-1-0.dll is missing from your computer error prompt. If you are now getting trapped in that trouble, you should install the Microsoft Visual C++ Redistributable again to get rid of the frustrating missing dll file issue. Below are detailed tutorials. Microsoft has built the Visual C++ Redistributable for Visual Studio 2015 in Windows Update KB2999226. So you can get the Visual C++ Redistributable via the Windows Update. If you don’t know whether you have installed the Visual C++ or not, check that with below steps. If you don’t have, just skip this note and go on the reading. Hit the Windows key, typing “appwiz.cpl” and hit the Enter. You can see all the Programs and Features on your computer. Scroll down until you see the list of Microsoft Visual C++ Redistributable packages. 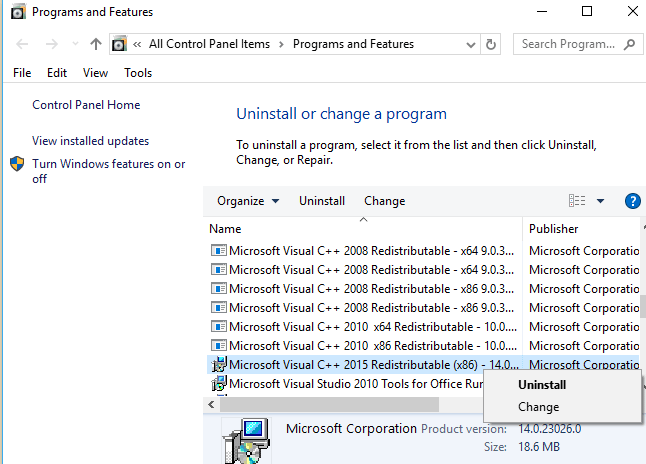 If you see the Microsoft Visual C++ 2015 Redistributable or Visual C++ 2017 Redistributable, right click on it and select Uninstall. (If you see a 64-bit (x64) and a 32-bit (x86) version of the redistributable, removing both of them). Once the uninstall completes, perform the following steps. To install the Microsoft Visual C++ Redistributable via Windows Update, follow below guides. 4. Following the on-screen instructions to restart your computer. Open the same program or the file which return the api-ms-win-crt-runtime-l1-1-0.dll error to see if the problem persists. If so, follow Method 2 to download the Visual C++ package directly from Microsoft official website. Since Windows Update sometimes fails to update the most up-to-date patches timely, you may need to install Visual C++ redistributable packages from Microsoft and install it manually by yourself. Below is how. 1. For Visual C++ 2015 Redistributable, navigate to the Microsoft official download page and then click “Download”. 2. Select your Windows OS type to download the vcredist_x64.exe or vcredist_x86.exe. Note: For Visual C++ 2017 Redistributable, visit here to download the 32-bit and/or 64-bit version of Microsoft Visual C++ Redistributable for Visual Studio 2017. 3. Run the installers and then reboot the computer to check whether the problem is solved. If you prefer a quick way to fix the lack of api-ms-win-crt-runtime-l1-1-0.dll file hitch, you might as well try a DLL files missing repairing tool, say, Driver Talent, which offers the DLL files download and install with one click. Follow the easy 3 steps to get the correct api-ms-win-crt-runtime-l1-1-0.dll file and get your Skype or other programs back to work. Click the button above to get Driver Talent first. 1. Select “Dll File Helper” under the “Toolbox” menu and then click “Continue” to download the Dll file helper tool. 2. Type in the name of the missing .dll file, api-ms-win-crt-runtime-l1-1-0.dll and then click “Search”. 3. Then click “Repair”; to download the api-ms-win-crt-runtime-l1-1-0.dll file and fixes its missing malfunction. 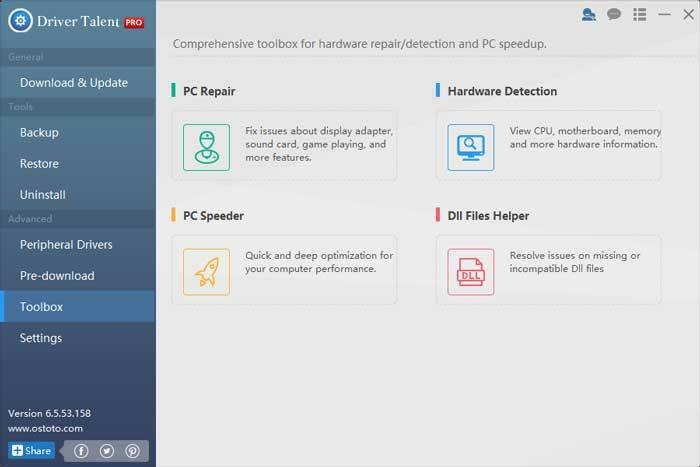 You can also select the “PC Repair” tool under the “Toolbox” menu to fix the missing game components like the MSVCP140.dll, ATL80.dll, Net framework, mfc80.dll, mfc80CHS.dll etc. Apart from troubleshooting dll missing problem, Driver Talent comes with more features, such as drivers downloading and updating, driver’s backup, create a restore point before installing any new drivers, drivers download for another computer, etc. Hope the above 3 api-ms-win-crt-runtime-l1-1-0.dll missing fixes could be helpful for you. If you have any doubt related to this post, please leave comments in below comments section. 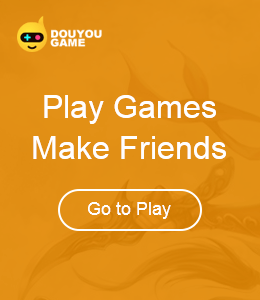 You can also click the SUPPORT BUTTON on the left of this page or turn to our OStoto official forum for discussion.